Click onto What's on page for upcoming dates for level one & two workshops. Heart Resonance is a new form of healing that is so simple, yet so powerful. Heart Resonance Therapy (HRT) can be seen as two modalities in one. Firstly HRT is a powerful yet easy to learn healing modality, shifting disharmony in the boby to a state of health and well-being. Secondly, HRT is a cutting edge tool for spiritual transformation putting you at the forefont of the awakening and the spiritual ascension of mankind. The Divine Love energy will align you to higher level of consciousness and love at this time of ascension, supporting you to move with grace along your spiritual path. A HRT practitioner is able to resonate a powerful "Divine Love Centred" energy field and in so doing, transform dis-ease through the process of entrainment. The HRT practioner can ftavel on to any level of a person's existence to instigate powerful and positive shifts, clearing emotional stagnation and residues that burden the body. From a spirital level, HRT awakens new energy pathways within the body allowing the body to utilize a higher spiritual light frequency. HRT greatly expands consciousness and intuitive abilities, and aligns you to the energetic changes we are currently undergoing. This puts you at the front of the boat so to speak of the ascension process to Godself awakening. Heart Resonance practitioners and clients worldwide testify to its positive impact and power.
. The history of HRT- how it started and how it has evolved.
. You will receive the HRT transmission- during this process the HRT taecher raises his/her vibration into a higher dimensional reality to gain access to the very specific Divine Love Resonance that is HRT. Whilst in this space, the teacher ia able to perform a transmission of this fequency into the student, empowering them for life with HRT.
. The unversal law of Resonance- it is through this law that level one HRT works as a healing modality.
. Learn how and why HRT works as a healing and spiritual development tool.
. Our evolving Chakra/Energy system and how its new functionality is impacting on our life.
. How to self treat with powerful energy.
. Treatment of others-learn how to treat other people in a professional way. This section of the workshop addresses all legal, health and clinic procedures.
. Other uses of HRT- sending treatment, food, water, plants and the environmental healing and clearing.
. The levels of HRT- all levels of HRT are discussed so each student can make an informed decision on whether or not they would like to advance in this wonderful modality. Course Dates click onto What's on page.
. Holy Trinity Treatment-very effective treatment for people who suffer from stress, depression or any emotional issues. Helps to re-aglign the grounding channel within the body thereby reinstating calmness and balance.
. Holy Trinity Concepts-learn some amazing techniques to clear the negative impact of past events, create positive outcomes for future events.
. 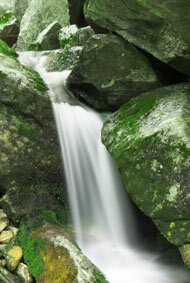 Inner Journey Treatments-Powerful treatments allowing you to work internally within the body. This process is like shamanic travelling into the body and can be done on yourself as well as others.
. Body Water Scrying-remove the negative residue energies and imprints held within the water of the body to function with more ease and grace.
. Body System Healing-Learn to work on a very deep level within all the major body systems clearing out emotional stagnation and disharmonious imprints. Many of these negative energies create burden and ill health.
. Meridian Balancing-simple and easy to learn technigues to balance the meridian flows through the body. ‘Reiki is an ancient healing and self-development therapy. 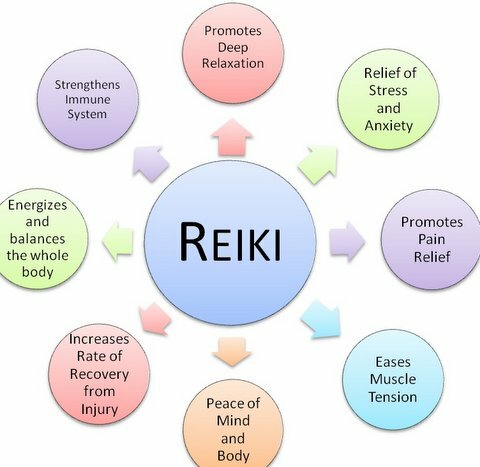 The Usui system of Reiki is a natural way to balance the body’s energy, therefore increasing its ability to heal itself on all levels. You should attend if you want to learn a simple and safe healing system that works on Mental, Emotional, Physical, and Spiritual levels of life. Treat common health problems sport injuries, flu, migraines, burns and allergies etc. Treat emotional disorders, depression, anxiety, insomnia, etc. Reiki is neither a form of mind control, philosophy or religion and does not require any change in lifestyle or belief system. 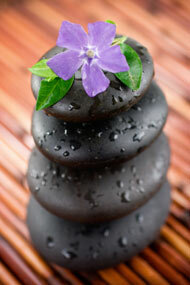 We start the day with talking about the history of Reiki. We look at where Reiki started. After morning tea, we take a look at the energy systems of the body. You learn about your energy system and look at how it affects your life. In the afternoon, we teach you about how Reiki works and what it does. Finally, before you go home we show you how to treat yourself with Reiki. You learn all the benefits of doing a self treatment. Also, you get to do a treatment in class, so we can check you have all the techniques correct. Sunday morning starts off with lots of uses for your Reiki. Learn how to treat animals, plants, food, cuts and bruises etc, flowers, acute and chronic illness, and lots of other uses. Before lunch we will do a Reiki group treatment and also talk about the other levels of Reiki. I should say that there is no need to go any further in your Reiki training. You will be very good at giving Reiki with the first level. I explain the other levels just in case you wish to go further, so you will know what to expect. The afternoon is spent showing you how to treat someone in a professional way. We look at health, hygiene, safety, and legal issues that you should know about, just in case you decide to treat the public. You will be very confident treating people because you get to treat someone in the course. You get one back too, so you know what it is like to give and receive. Throughout the workshop, you are given 4 attunements to Reiki. The attunements are what give you access to the Reiki energy. You need to have them to be able to use Reiki. We spend a lot of time actually treating in the class. It’s a very practical workshop. Even if you have no energy healing experience, you will learn this therapy very easily. Anyone at any age can learn to use Reiki. Total investment for this two day workshop is $280.00 includes $30 Reiki CD. You will learn three of the energy patterns that Dr Usui rediscovered, their many uses and applications, and what the practical use of these symbols means for your self-development. Intensive theoretical as well as comprehensive practical instruction and class participation will ensure that you gain an understanding of the importance of the learned methods and techniques. This is a two day & a one evening course. Please contact our centre for workshop dates. Please call our centre 07-38833882 or e-mail: thirdeyehealing@optusnet.com.au if you would like to make a booking or receive further information regarding our workshops.